This Season's wardrobe Staple! 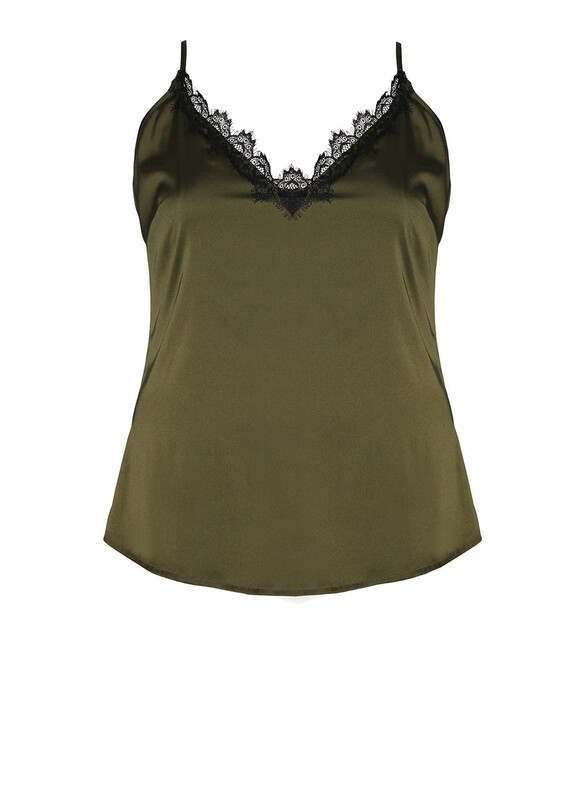 A classic satin lace trim camisole that is an easy wear with a little stretch for versatility, and can be paired with anything. Wear under or over clothes or just on its own. It comes in the three colours Black, Khaki and Grey to avoid disappointment. Best paired with Anna's Plain Fitted Trousers in Black or Khaki, Anna's Leather Biker Jacket and a pair of chunky heels!